JUSSI HALLA-AHO, the chairperson of the Finns Party, has questioned the merits of the free mobility of labour in the European Union. MTV on Tuesday asked Halla-aho and his fellow prime ministerial candidates to cast light on their views on Brexit, the impending withdrawal of the United Kingdom from the European Union. “I’d consider it more important to address the factors that caused the majority of Britons – or those who voted – to want to leave the European Union,” replied Halla-aho. “The most important of these is to disconnect free mobility of labour from the internal market, to disconnect it from other freedoms. It’s harmful to both the source countries and the receiving countries,” he argued. His assessment was later rejected by both the Confederation of Finnish Industries (EK) and the Central Organisation of Finnish Trade Unions (SAK). Janica Ylikarjula, a chief policy advisor for EU affairs at EK, reminded that the free mobility of labour is a key dimension of the internal market, not least because it facilitates the exports of services from one member state to another. “If you think about it from the viewpoint of Finnish businesses, it expands their talent pool in a completely new way by making it possible to hire workers without having to deal with a bureaucratic burden in the form of employment permits, for example,” she explained to Uusi Suomi. “It’s one of the key principles of the European Union,” echoed Pekka Ristelä, the head of international affairs at SAK. “It’s an opportunity also for Finnish employees, to be able to freely apply for jobs in different countries. It offers an opportunity to earn a living and gain experience. Those are positive things. As long as we make sure the terms and conditions of employment are the same to everyone equally, free mobility is a good thing,” he stated. 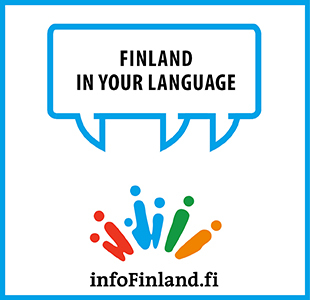 A total of 4,179 EU citizens registered their employment-based residence in Finland in 2018. The largest nationality groups were Estonians (1,227), Romanians (420), Poles (288) and Britons (251).